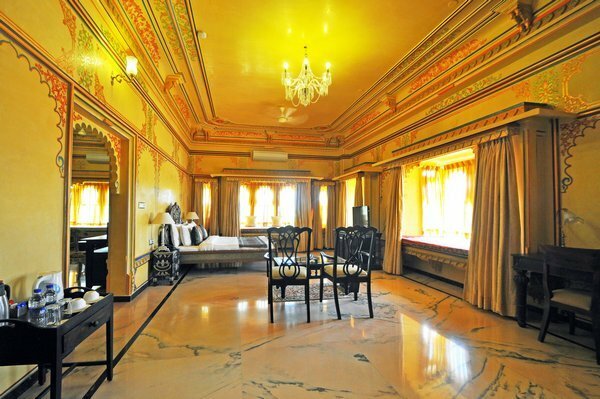 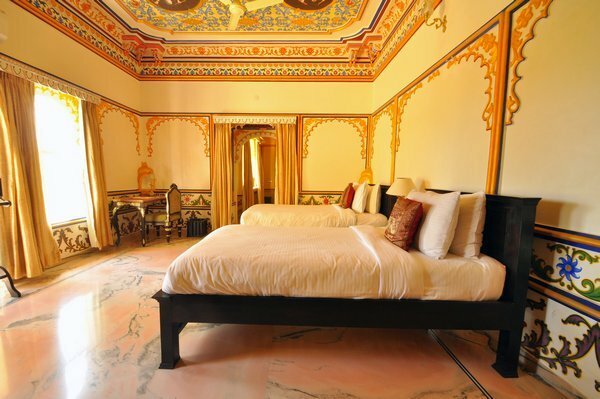 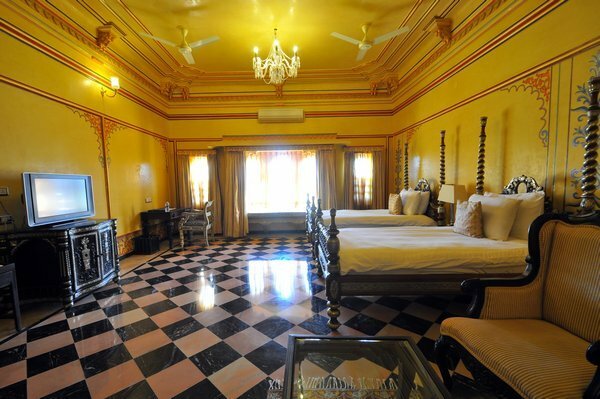 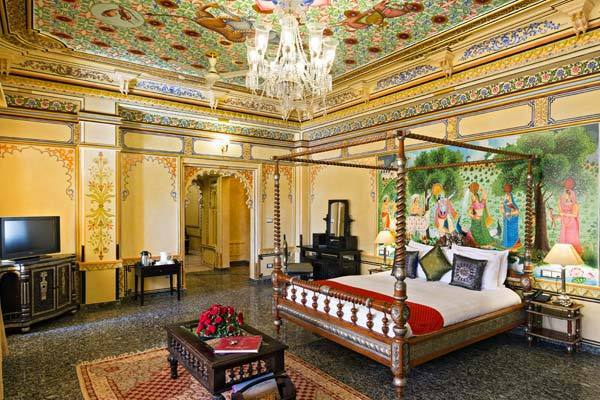 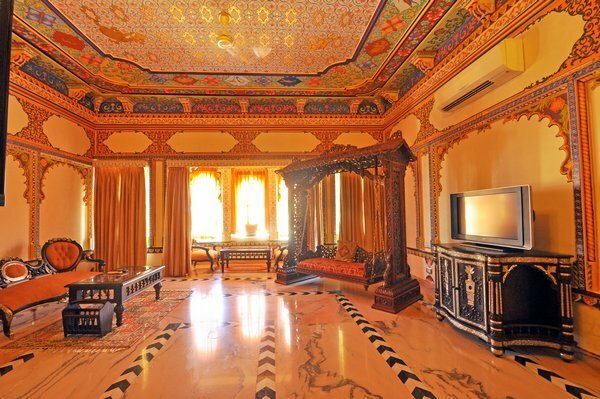 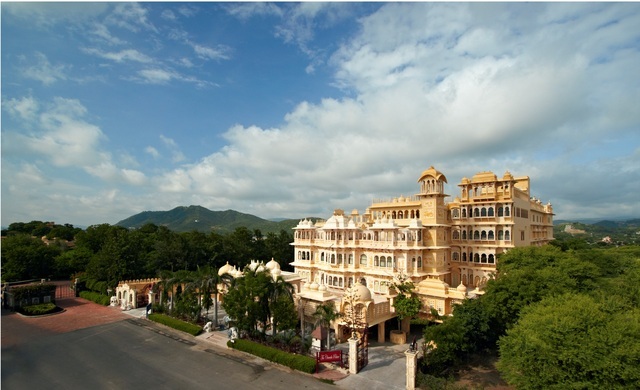 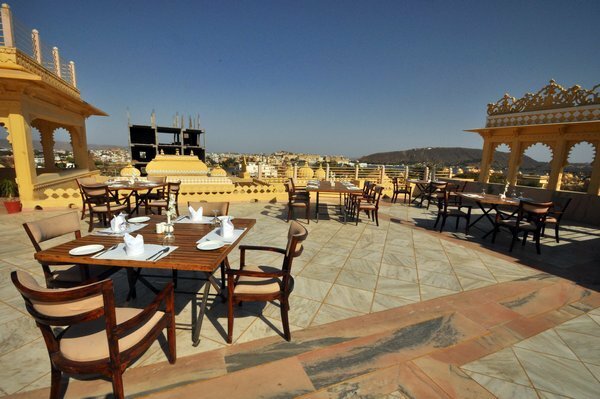 Chunda Palace Hotel, Udaipur has been designed to resemble a traditional Rajasthani palace. 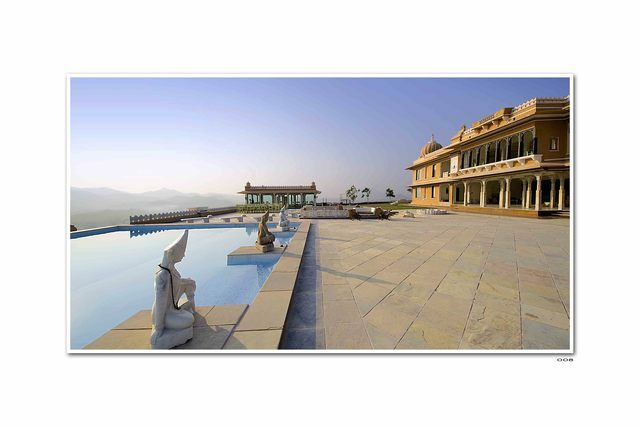 It successfully depicts the rich cultural heritage of the Mewar dynasty. 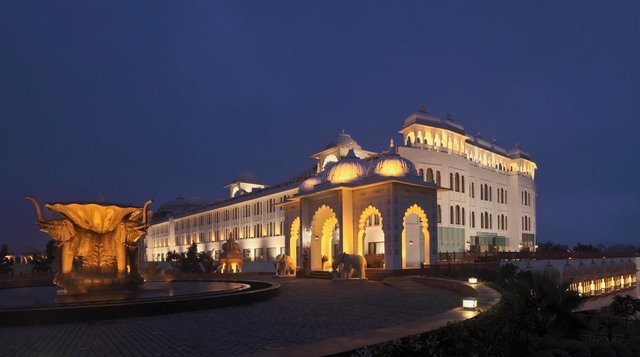 This fascinating hotel took six years to come into its splendid form. 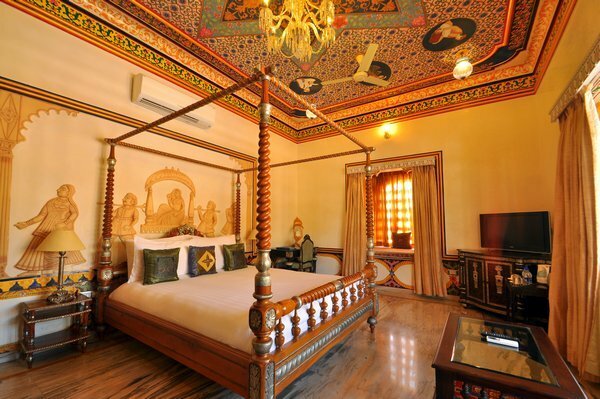 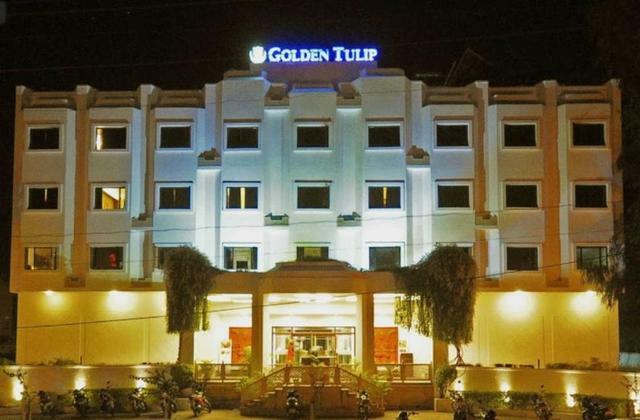 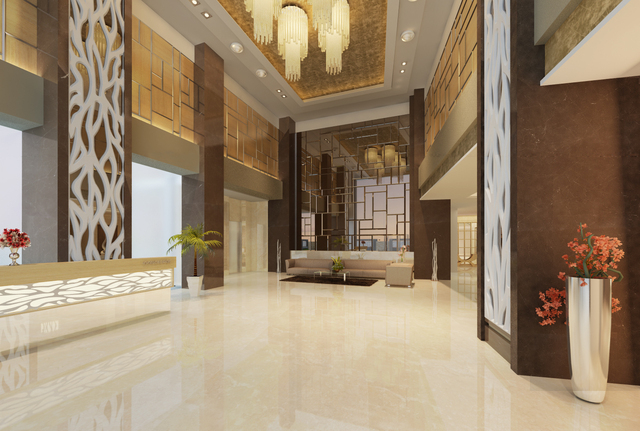 It provides its guests a blend of traditional Indian hospitality with modern conveniences. 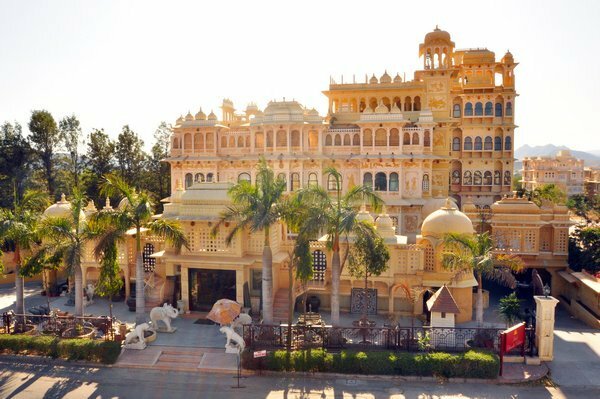 Guests must visit this royal hotel to truly witness its breathtaking architecture and stay in their plush and graceful rooms. 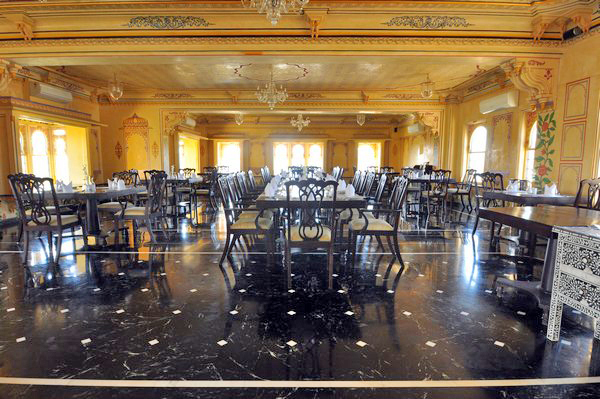 Chunda Palace Hotel is located on 1 Haridas Ji Ki Magri, main road in the stunning city of Udaipur. 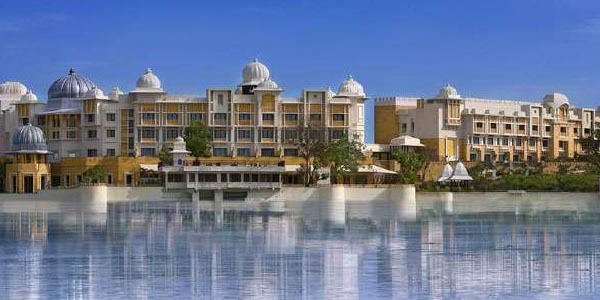 Tourists can visit many serene lakes and magnificent palaces of the city. 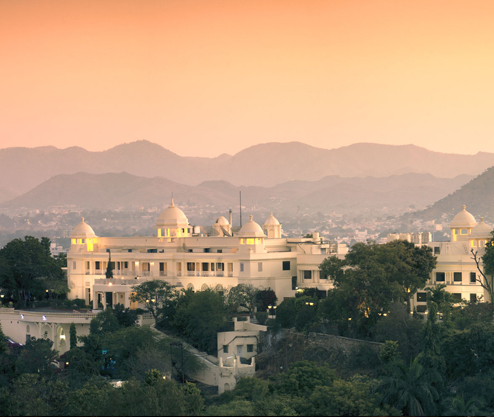 The Fateh Sagar Lake (Approx 2 km) and the City Palace (Approx 4km) are the closest tourist spots. 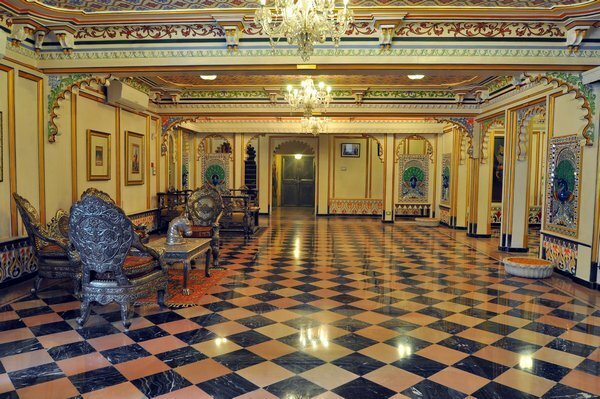 Other than these, travellers can visit sites like the Fateh Prakash Palace, Bagore Ki Haveli Museum and Eklingji Temple. 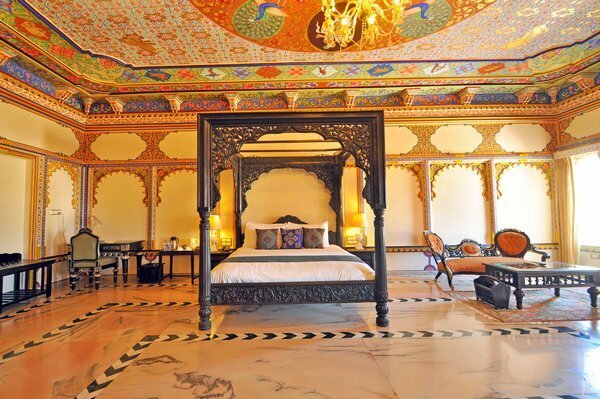 This hotel's grand architecture is simply outstanding. 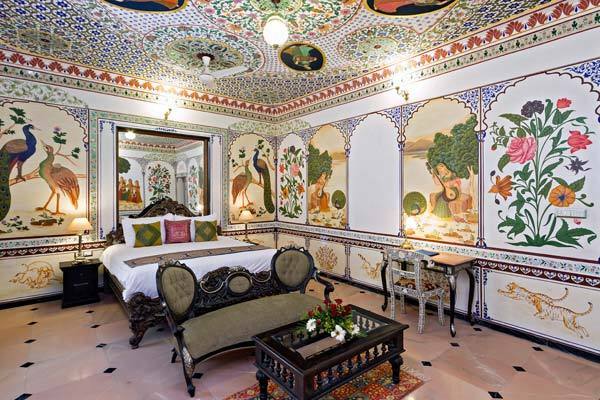 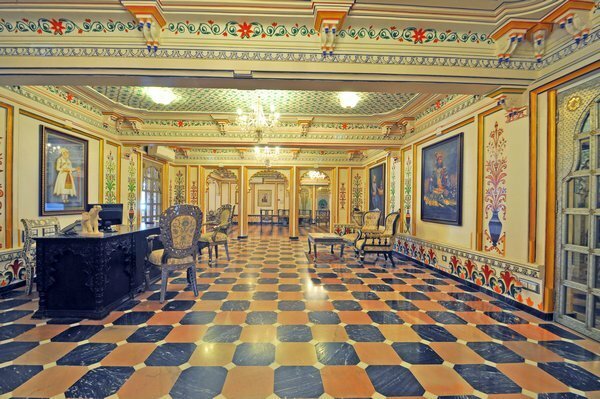 Its walls have been decorated with intricate handmade paintings and the ceilings depict the stunning artworks of the royal era. 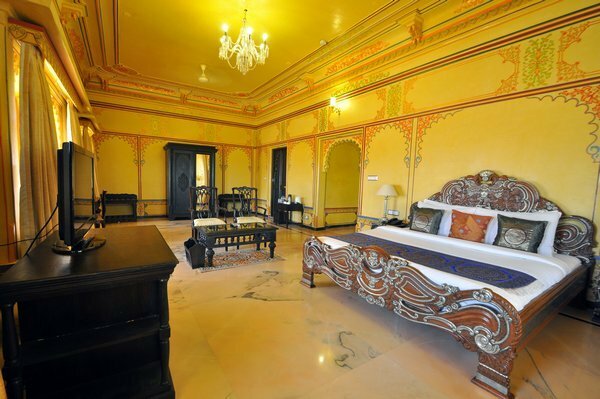 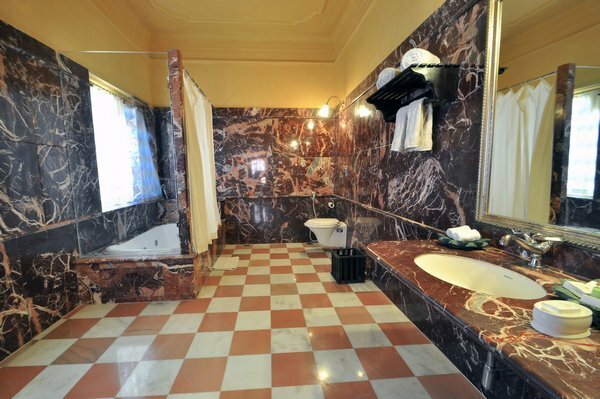 Chunda Palace offers a plethora of services for its guests comfort and convenience. 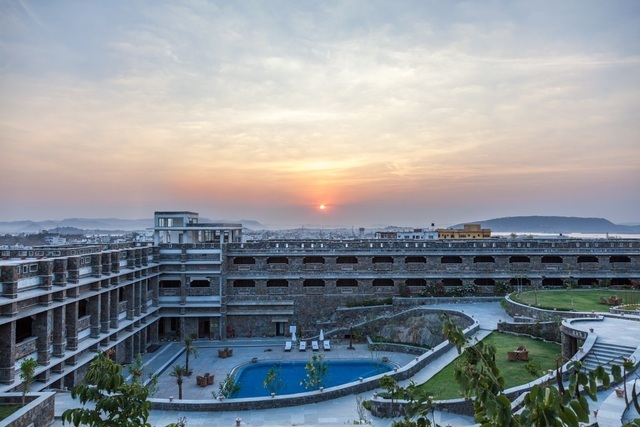 Some of the basic ones are room service, front desk, doctor-on-call, housekeeping daily, express laundry and 24-hour security. 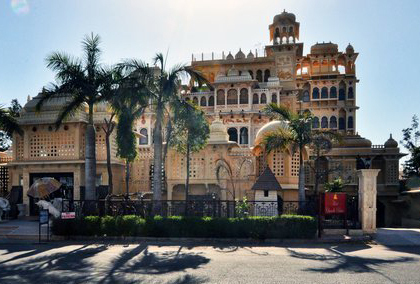 The adventure seekers can go on sightseeing excursions. 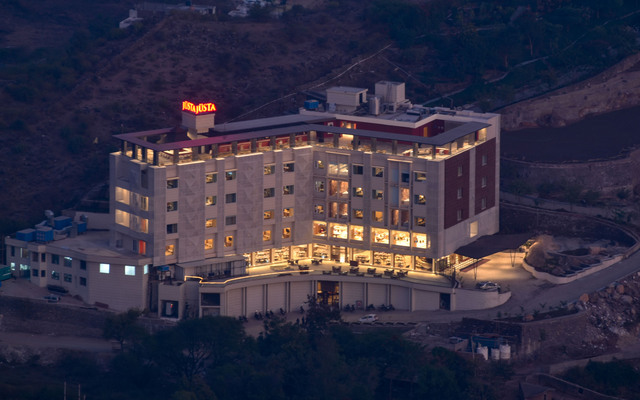 The corporate guests can avail the business services such as broadband internet access, wireless internet access, laptop computers on hire, multimedia computers, conference hall with facilities like audio-visual equipment and secretarial services. 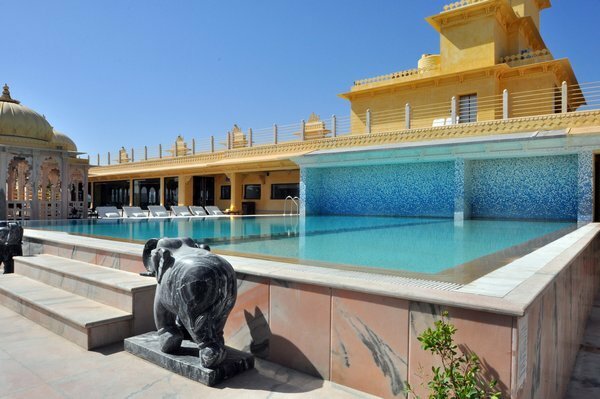 Additionally, the hotel also provides currency exchange facilities, concierge services and car hire services. 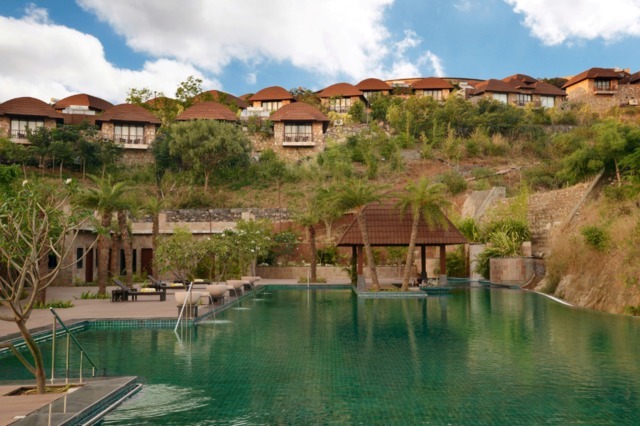 The health conscious guests can visit the fitness centre or swim in their sparkling pool. 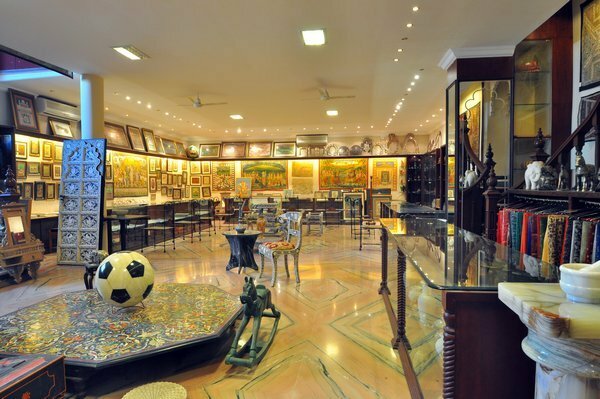 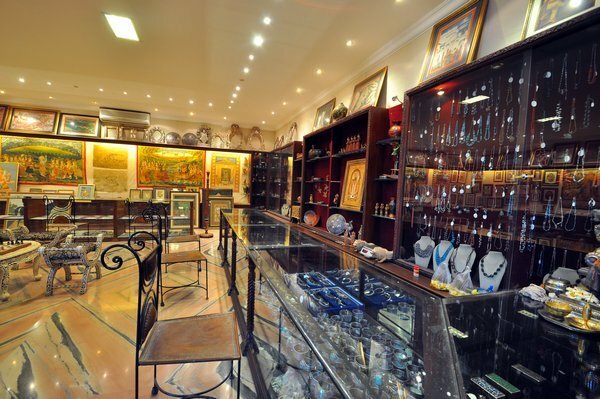 Tourists can also buy souvenirs and Indian artefacts or clothing from the shopping arcade in the premises. 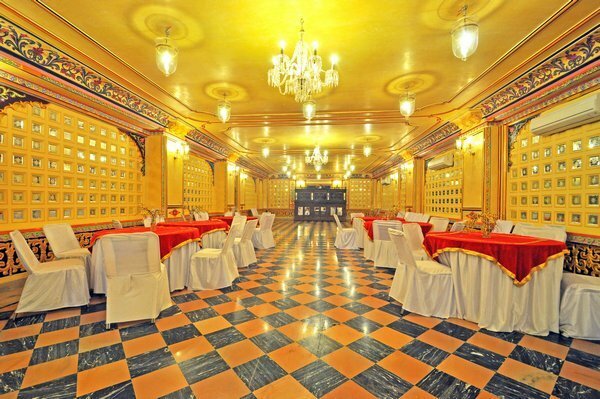 The hotel has a trendy bar named-Rang Tarang which has a fine selection of vintage wines and spirits. 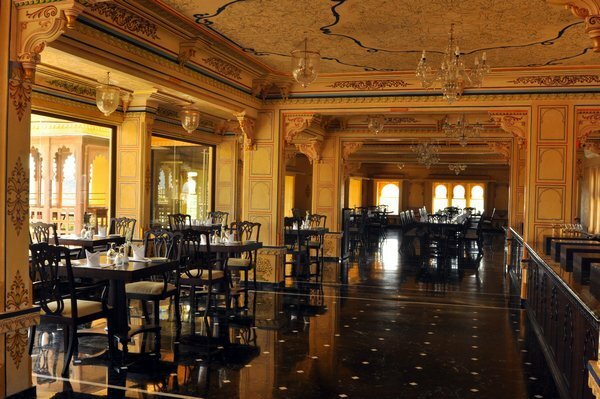 When hungry, guests can visit the terrace restaurant- Royal Cuisine which serves delectable multi cuisine food. 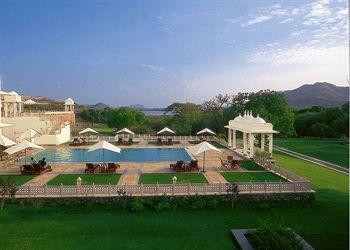 The picturesque views of the Lake Pichola from the terrace add to its appeal. 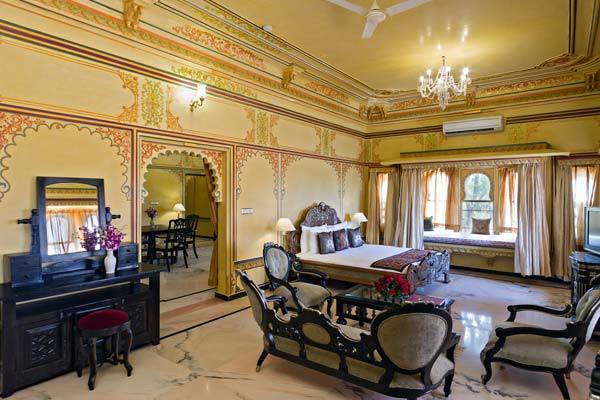 The vibrant and majestic Palace Rooms of the hotel offer many modern amenities to its guests. 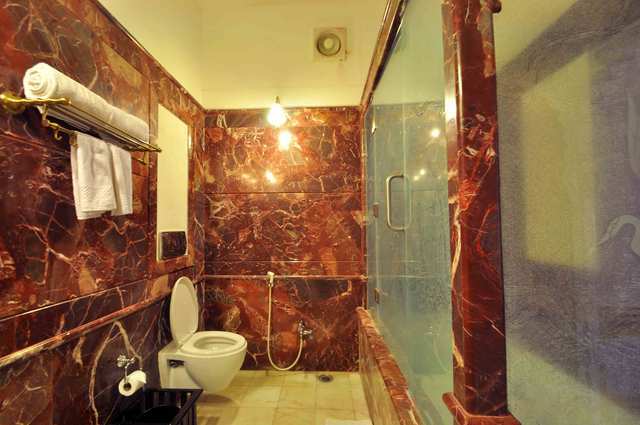 Some of them are international direct dial facility, mini bar, LCD television, personal safe, hair dryer and bathtubs.